An African lion is safe and sound thanks to the diligence and kindness of a group of tourists. The travelers, who were visiting South Africa's Kruger National Park, found the lion snared in a trap believed to have been set by poachers. Frightened by the incapacitated creature's condition, the tourists took to social media to share photos (warning: graphic) of the wounded animal with park authorities, who promptly dispatched a veterinarian to care for the injured lion. Thankfully, officials say that, although they look graphic in the photos, the lion's injuries were not "as bad as anticipated" and that the animal had been treated and released. 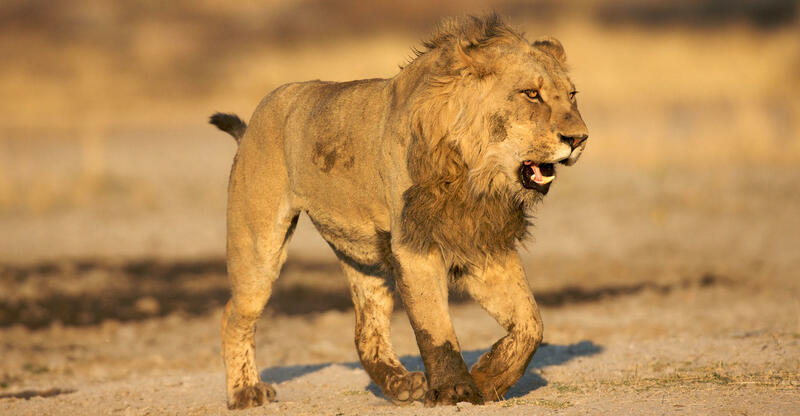 "On behalf of Kruger National Park Management, we take this opportunity to thank you all for the contribution and support we received from when the lion was reported up to its rescue," Kruger National Park spokesperson Lesley Nyawo said in a Facebook post.